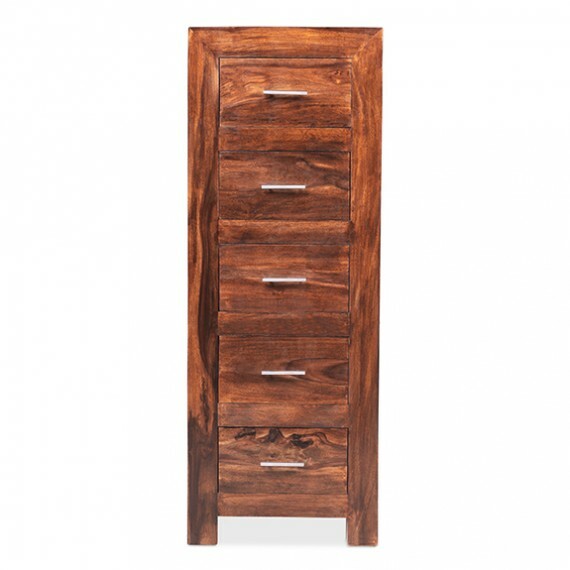 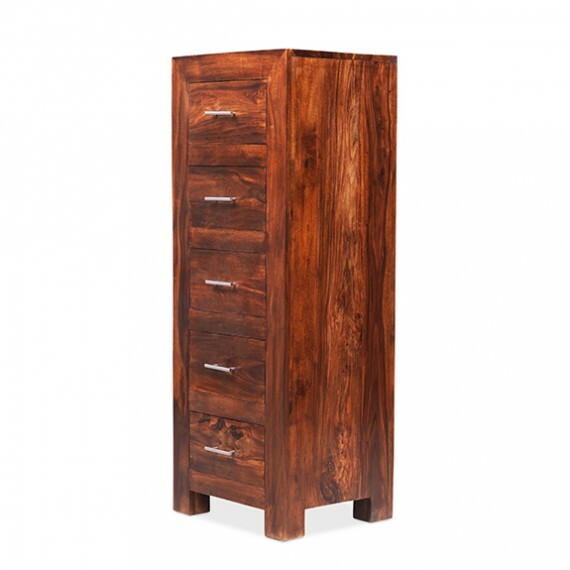 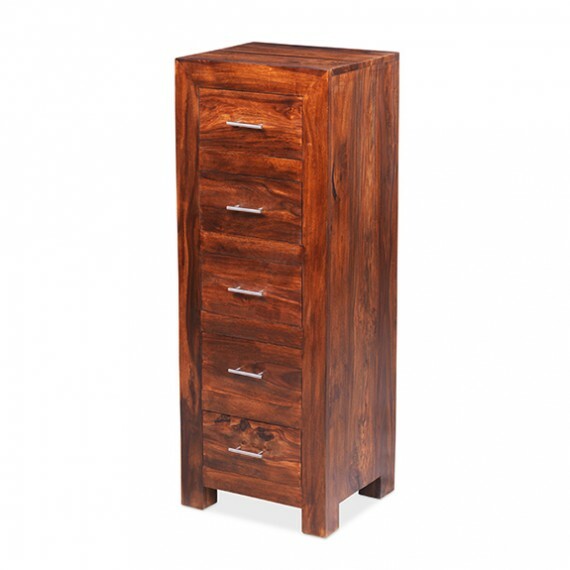 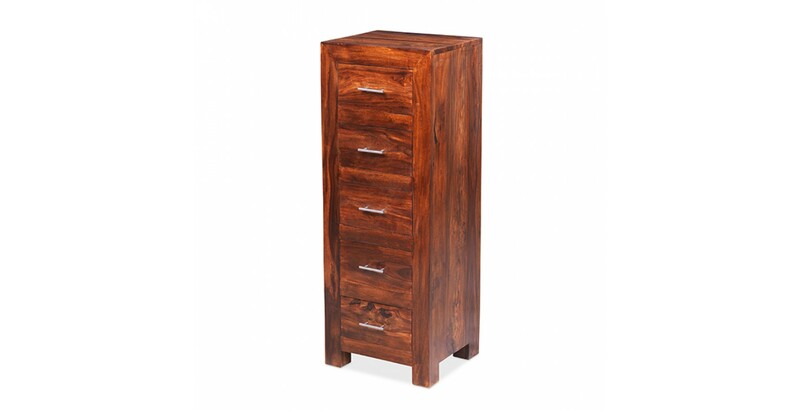 Making good use of space on a small footprint, this tall chest of drawers will help you stay organised and clutter-free in any room. 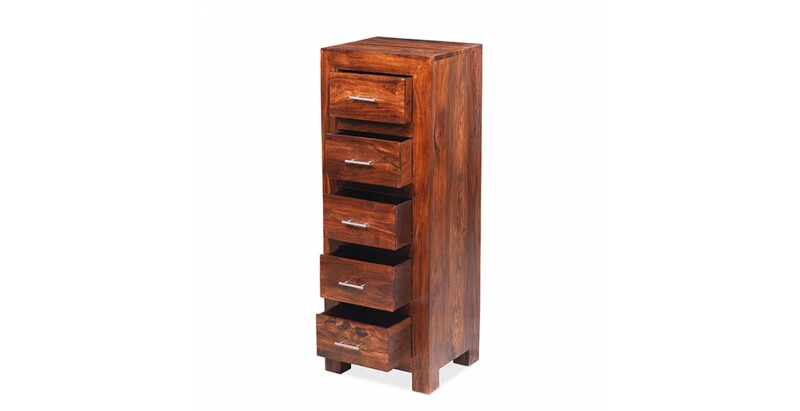 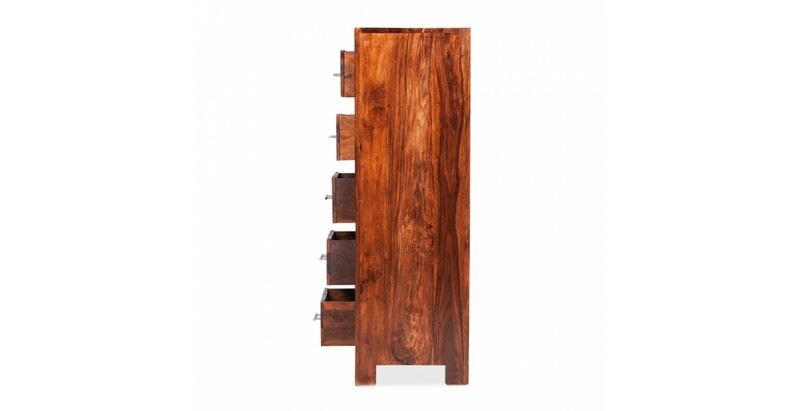 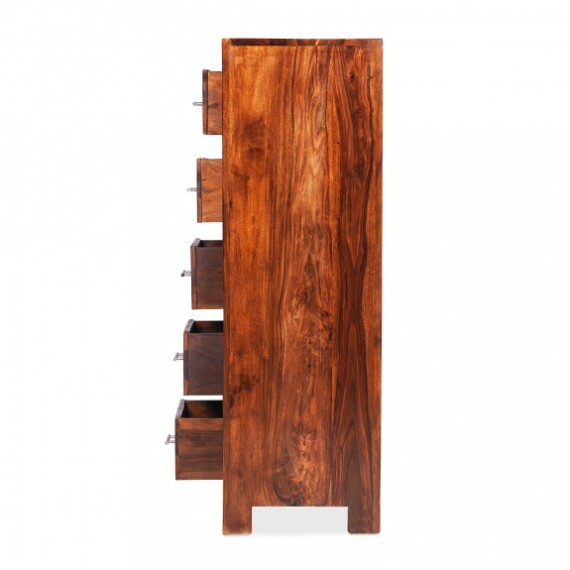 With five drawers to keep clothes, stationery, paperwork or other items in check, its dark-toned sheesham wood construction will be a visually appealing addition to your home, especially in combination with other items from the range. 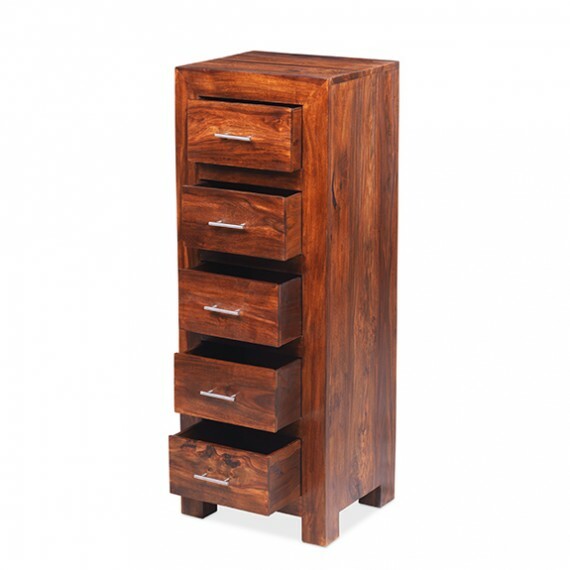 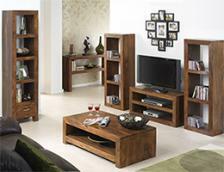 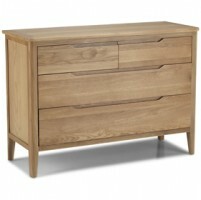 A Wax Lacquer Finish keeps its rustic good looks and crisp, clean lines looking smart at all times.